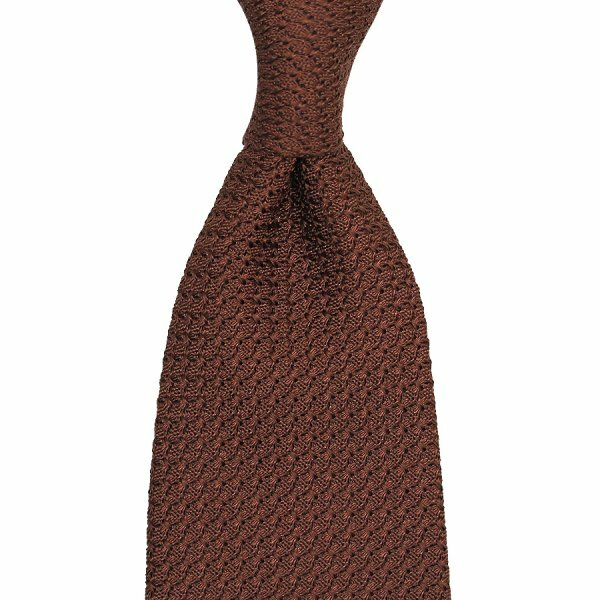 Product information "Grenadine / Garza Grossa Tie - Brown - Handrolled"
Grenadine tie in grossa weave in a rich, warm brown. A wonderful, versatile classic: works just as well with a navy suit, light blue shirt, yellow pocket square, striped braces and brown half brogues as with a green jacket, cream pocket square, striped braces and suede shoes. Related links to "Grenadine / Garza Grossa Tie - Brown - Handrolled"